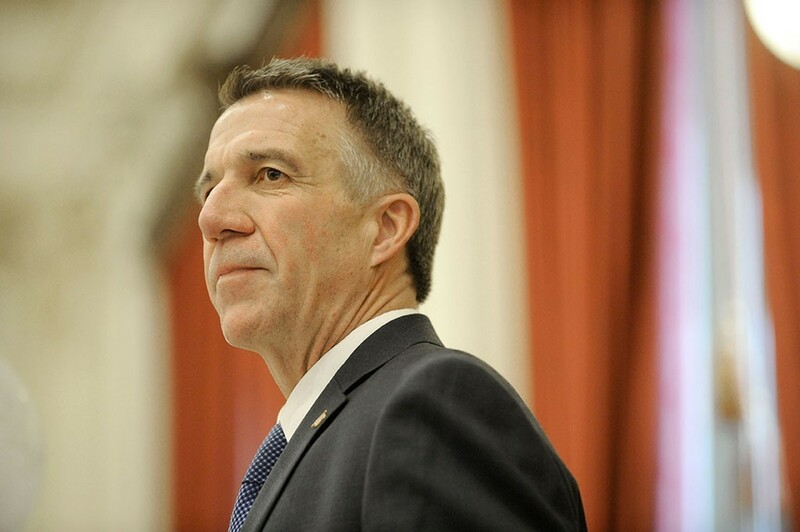 Scott indicated previously that he'd sign, but this was the first time the governor said so publicly since the Vermont Senate passed the legislation on Wednesday. "We'll take a look at it to make sure it's technically correct, and then I'll sign the bill," Scott said during an unrelated Statehouse press conference about the first report of the governor's Opioid Coordination Council. Scott did not commit to a public signing. "There's a lot of diverse opinions on this," he said. "I have my opinion. We'll see." Earlier this week, leaders of the law enforcement community asked the Senate to delay its vote until the governor's Marijuana Advisory Commission issues a report due January 15. Scott said he wouldn't necessarily wait for that. "I've been briefed on the report," he said. "I don't think there's going to be anything coming out of the commission report that will surprise anyone." The commission was tasked with designing a system for full legalization with a tax-and-regulate structure, so its report is not directly germane to this bill. Scott's signature is not merely a bowing to the political winds. He indicated support for the current bill, at least in concept. "This is a libertarian approach," he explained. "I've said I'm not philosophically opposed to it. I know there are diverse opinions ... as to whether we should move forward, but I still firmly believe that what you do in your own home should be your business, as long as it doesn't affect someone else." As for full legalization, Scott remains a skeptic. "The tax-and-regulate, so-called Tobacco 2.0, is concerning to me," he said. "We have to make sure that we can determine a level of prevention on our highways, make sure there's prevention in our schools and deal with edibles, as well as the taxing and regulatory process. It's a big step from here." In this episode, Weed returns to sing a song for the Governor and Bryan examines the Twitter scandal that stunned Vermont journalists.